Thanks @joeydeacon, just bought FIFA 19. My first foreign PSN deal, I usually get physical FIFA but no point as it has a low resale value. Glad I waited 6 months this year, so much cheaper. Thanks for the deal mate - voted hot. Managed to get a $20 card for £12.75 from G2A so I used it for FIFA. Do love a bargain! I also forgot what state I was registered to, so I checked - coincidentally, California. I did have a nice laugh, since I actually used a fake address called "Fake" &amp; used the most famous Cali zipcode, 90210 and several years now, it's still considered valid by PSN. Yup, gotta download them first on your US account. They'll be sitting on your UK dashboard right after. Does anyone know what the all star content actually is? I loaded up from a previous post of yours, so yes plenty of credit left in Argentina’s account. Nice work, did you have credit left over for that? Never played this kind of game but for £3.75 it’s definitely worth a punt... heat added joey. I thought I had been looking at something else in the UK store earlier, when I saw this deal. Glad I never imagined it. Tempted. Have last year’s version already though so will have to see what it adds. Thanks I grabbed this heat added, it added $0.53 in taxes so I'm going to have to change the accounts address. Well, it's a bit like asking what's the difference between Fifa and PES. Different studio, slightly different game play and production. 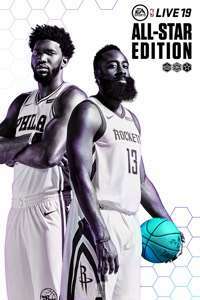 EA took a year off and then came back with nba live 18. nba2k is the more established series and I think EA are trying to get back in also on price. NBA live 18 was also heavily discounted really on. 2K is more realistic with better animations, feel and the presentation is closer to real basketball. But the MyPlayer career mode is so infested with micro-transactions that it is almost unplayable. What's the difference between this and 2K? As a casual player, I prefer this to 2K (at least last year’s incarnation). Felt much simpler to just pick up and play. Heat. Stop it now, i can’t afford any more! If anything like Fifa 18 you’ll be waiting a good while for 19 to hit the vault. Does anyone ever buy these? Never miss a 'NBA Live' deal again! Guys received this email this morning works out as 28.75 for each game. Why would you pay £114.99 for 4 games that will be in the vault in the not too distant future. Got nba 2k19. Shall u get this one,?? The fact that the live series is building itself from the ground up,and 2k is in a decline for years now makes your somewhat elitist comment a bit irrelevant. I also have to mention that EA bad (by default),but 2k even worse when it comes to live service of basketball games. Good find but kind of in the shadow for years of NBA 2K18, if you're looking for the best basketball game youre going to play alot go for 2K18 but for that price can't complain if you play time to time. No worries. Nah I scanned the list and no vital games popped out at me. I didn't even buy Baja in the end as I didn't want to waste the PS+ trial on one game :). Just seen your post sorry, but the sale ended within the last hour. Did you manage to pick up anything decent? Crap I totally forgot about this sale. Does anyone have any suggestions? Looking for games that are the cheapest they've ever been, preferably non-indie platformer. Baja: Edge of Control HD is all I've found so far. For some reason Until down Rush of blood has turned from the demo into the full game with trophy's and all, i just happen to fire up the demo i had downloaded some time ago to give it a go and it's the full game, never bought it, don't have any detail's to buy anything anyway, so i wonder is this a mistake or a free weekend, the info says valied until the 15/7....very strange, but i won't look a gift horse in the mouth. If you are into turn based strategy games you have to buy the Warhammer bundle. I have spent more time playing mordheim over the last 2 years than all other games put together. I find it so addictive, a little janky sometimes but great fun. No worries, sent you a PM. Bottle of milk and a bag of Seabook? Hard times. Sounds like a real Northern school lunch that does. Got this last nite. Great deal. It's only a few months until the new ones come out. Seems like a fair price rather than a good deal. It’s worth remembering the online servers for 2K16 have been shut down. Worked a treat, thanks very much @Buckyball !! Tge Final.. Houston Vs Sixers! Please God! I man-read it.... every other word... free fell by the wayside... 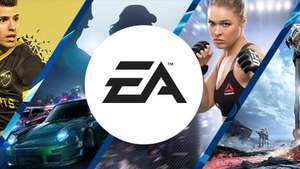 Evil EA pushing free content on us... BOYCOTT. Ha. i need to google this World Cup add on first I heard. Bet it isn’t coming to switch... I skipped Xbox version as was waiting for vault - only got it on switch. Is it expensive? I believe this is on sale on the US Store for $29.99, so if anyone fancies going digital, you can grab it for 3 * £7.16 = £21.48 (current PCGameSupply rate). Same with WWE 2K18, if you're feeling crazy. I would recommend this game, at this price. Online is weird, and your 2k player can get messed up if you try playing it on the go (unless you start with an offline account). There are 2 different experiences, offline and online my player, and they are very very different. Despite its flaws, for £25, this game is definitely worth it. *NOTE* you need to make sure you've got extra space as all the game isn't included on the cartridge. great price though, very tempted to pick this up, had my eye on it for a while. Oh god yes, only its 30fps rather than 60fps, shame that most people ignored it as they thought it was broke, it’s not. this run better than wwe? Tiger Woods would be a better fit. Just purchased static, I enjoyed the demo and at $7.99 I'm sure I can't go wrong. Thanks @malnuman for the heads up with the 2 day trail. Glad the sale worked out for you.